The new Peter Rabbit movie features a scene where animals throw blackberries at a man who’s allergic to them, forcing him to use an Epi-pen. People are angry at the scene and calling for a boycott. Currently, the scene is not available online, so the only way to see it is to actually go see the movie. I have not seen the film and had no intention to before even hearing about the controversy. As a food allergic individual, I will be sure to avoid Peter Rabbit. Parents of children with food allergies are worried that the scene will influence kids to use foods that they know other kids are allergic to in order to bully them. While this could potentially happen, I don’t see this as the main issue. I do not think that children are malicious and want to kill their friends and classmates. They do not see allergens as weapons like parents fear they might. So many people have food allergies now that most kids are aware of allergies. At the same time, people who don’t understand allergies often don’t take them as seriously as they should. I think that it’s more likely for the movie to make kids see food allergies as not being serious than it is for them to see allergies as ways to kill people. Kids would probably think that teasing other children with their allergens was a funny joke and not think about the consequences. Showing a character get puffy and magically be okay does not accurately portray allergic reactions. While it’s a good start that Peter Rabbit showed the character using an Epi-pen, they don’t always work and some people can have multiple reactions. 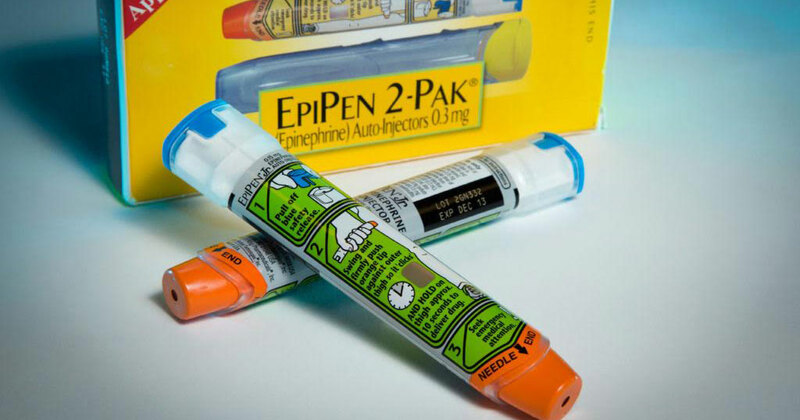 Telling kids that Epi-pens make allergies all better is dangerous. I was lucky and never experienced bullying about my allergy from my peers. They were all very understanding and accommodating. As I have gotten older, I’ve noticed that adults are usually the ones that are insensitive about allergies. Even so, I’ve had people my age tell me that I should try something with peanuts and just stab myself with an Epi-pen. When this happens, I try to educate people instead of getting upset. Media portraying allergies as jokes perpetuates ignorance like this and the only way to combat it is education. Parents that are worried about the consequences that the movie could have should talk to their child’s teacher about their concerns instead of calling for a boycott. People that don’t understand allergies won’t care about a tweet and will take their kids to see Peter Rabbit anyway. Even if the calls for a boycott won’t stop people from seeing the movie, they are starting to open up a very important dialog about allergies. Movies and TV shows have been using food allergies as jokes for a long time without people taking action. Hopefully this outrage will finally get rid of food allergies being used as comic relief.